A pair of hay hooks any person would like. They would even look good hanging on the wall! 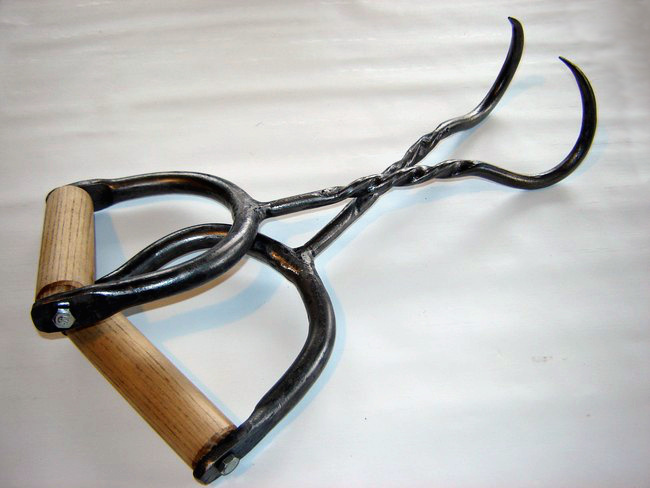 This is a great pair of hay hooks for moving those heavy bales around in the barn. They have a nice twist to them for a custom look. The stirrup handle is made from 1/2" stock and the shaft and hooks are made from 7/16". The wood cob is hardwood. Approximate length is 16".